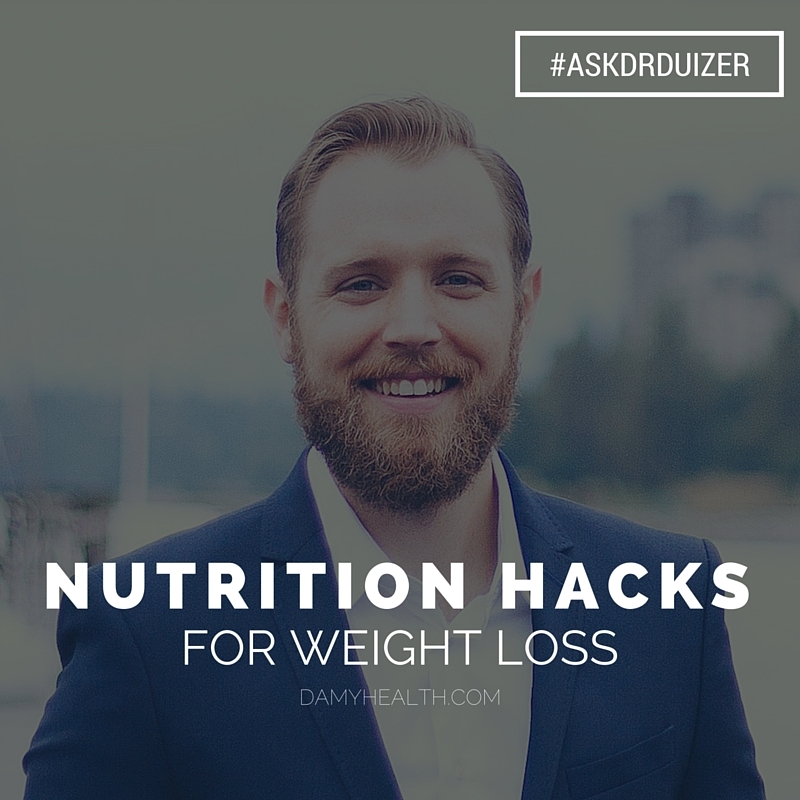 I’m a sucker for “nutrition hacks for weight loss” (or really – “life hacks” of any kind). If something is going to help me in the slightest way I want to know about it. That is why I am excited about the recent research in nutrition and weight loss. Amy is also thrilled about these new studies because what is coming out in the research this year supports her nutrition guidelines and weight loss advice (in her Online Programs). 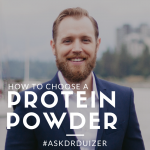 Today I want to bring some of the recent studies to this edition of #AskDrDuizer. These will help you eat better, maintain a healthy weight and even contribute to weight loss if used properly. In the last 5 weeks so much information has come out of nutrition studies that it can be overwhelming. Below you will find the most important articles and studies that have been promoted via some major universities and journals. These are all tips that you can use and most of them you can start today! If you are a DAMY Member you may already be doing some of them! 1) If you make your own healthy food you will enjoy it more. The most important component of a weight loss program is healthy eating. One of the biggest complaints we hear is that healthy food isn’t as delicious as junk food. Amy has dispelled this myth thousands of times with her delicious healthy treats on our blog but there is new research showing a simple way to change the taste of healthy foods – make them yourself. In this recent study people who made their own healthy food reported more enjoyment from their food than those who made their own unhealthy food or those who were given healthy and unhealthy food made by someone else. The best way to enjoy healthy food is to make it yourself from scratch. 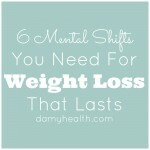 2) Fruits and vegetables help with weight loss. Healthy eating is the most important part of any weight loss program. Exercise alone will not cut it. But what healthy foods should you eat the most of? New research says it is fruits and vegetables that will provide the most benefit. Fruits and veggies are packed with vitamins, minerals, fiber and water. 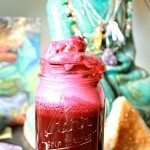 They are low calorie and contain important anti-oxidants. This new research is suggesting that the anti-oxidants may be playing a roll in weight loss. It is too soon to tell but for now just make sure to eat your fruits and veggies. 3) Eating in a room with a mirror will help with portion control. In a recently published study researchers found that a presence of a mirror near a dining table or kitchen can reduce the perceived tastiness of unhealthy food (and therefore you tend to eat less). This could be do to many reasons but the lead researchers believe it facilitates a form of self-judgement. I don’t think self-judgement needs to be a negative term. It could really be used as a way of reflecting on food choices in the same way mirror work is done to re-enforce positive choices. If you set up a mirror in your kitchen or dining room you may begin to believe unhealthy food doesn’t taste as good as it once did. 4) Eating on a bigger table with help with portion control. This is my favorite nutrition study of the month. Researchers had college students eat pizza off of large tables. Some pizza was sliced thin and some were sliced large. The students who were served the thin slices on the large tables ate the fewest calories. The lead researcher noted that they believed the participants ate less because they were in awe of how large the table actually was. Either way, a recommendation was put forward that if you want to reduce your calories to consider eating on larger tables. 5) Eating lean protein helps with fat loss and lean muscle development. A new study from McMaster University published in the Journal of Clinical Nutrition showed that for overweight men on a calorie restricted diet higher levels of lean protein contributed to increased fat loss and muscle gains. The diets were very restrictive (40% less than their recommended daily intake) and their exercise routine was extremely intense but for those who ate 2.4g of protein for every kg of body weight fat loss was quicker and more significant. This really speaks to the need for healthy protein consumption during any weight loss journey. We need protein for muscle repair, energy and healing. Protein can be obtained from many different foods and requirements will vary depending on how hard you are exercising. If you want to lose weight, eat better or simply tighten up your diet just stick with the basics and you will be able to build a sustainable lifestyle that contributes to your overall health. Eat healthy, move your body and keep stress low and you will be healthy. When it comes to weight loss everyone is looking for the edge. We all want to know what we can do extra to make our programs easier, faster and more effective. Some of these studies may sound too simple and some may seem silly but they have all been deemed effective in a research setting. Give them a try and see if your intake is reduced, your nutrition improves and you are able to lose weight quicker. 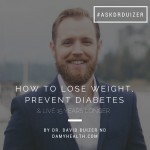 To learn more about Dr. David Duizer Click Here. 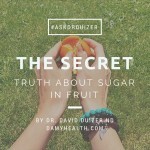 Connect with David on Twitter @drdavidduizer, Facebook, and Google+.